Although previously scheduled for a September 4 release, Ubisoft has announced it will delay Far Cry 3's launch date by three months. The official North American release date for the first person shooter on all platforms, including PC, Xbox 360 and Playstation 3, is now December 4, 2012. Ubisoft states that the game will land on shelves November 29 for Europe, Middle East and Africa. Earlier this year, a Far Cry 3 trailer was leaked, ultimately making its way to YouTube. The video claimed a September 6 release date. Additionally, a couple months ago, we also saw a five minute video which highlighted some of the multiplayer aspects of Far Cry 3. The footage originated from a pre-alpha build. Based on the multi-player video demo, fellow news contributor Shawn Knight pointed out some of the similarities between Far Cry 3 and Battlefield or Call of Duty, namely experience points, levels, kill-cam and carpet-bombing air support. Although FC3 definitely borrows some elements from other modern shooters, there were some unique aspects as well. Check out the multi-player video for yourself here. Multiplayer is also expected to feature a 4-player co-op mode, seemingly not unlike what Left 4 Dead offers. 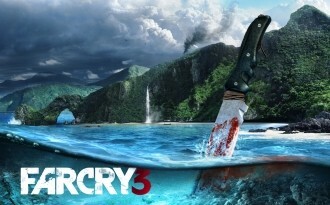 Far Cry 3 will be based on Ubisoft's Dunia 2 game engine, the successor to Far Cry 2's original engine by the same name. Little is known about Dunia 2, but certain elements from Dunia have made it into other games, like Assassin's Creed II. Currently, Avatar (the game) is the only title based on Dunia other than Far Cry 2 itself. Assassin's Creed II uses its own "Anvil" game engine, however developers borrowed Dunia's excellent foliage and vegetation algorithms.